The growing rooftop solar market has often been mentioned as potential market for energy storage, but a recently published paper in Nature Energy disputes that claim. 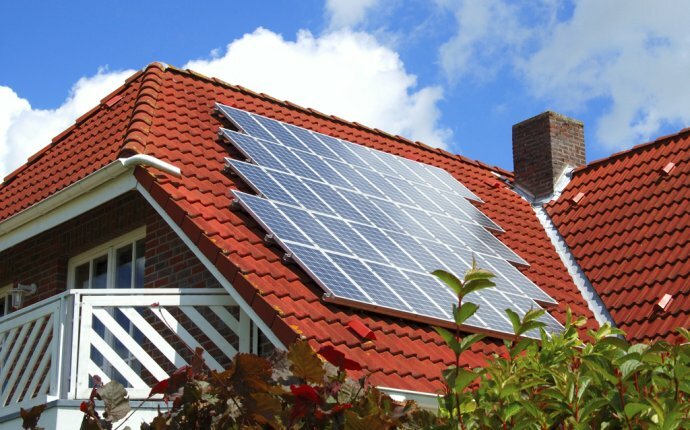 The paper, “The impacts of storing solar energy in the home to reduce reliance on the utility, ” by Robert Fares and Michael Webber, argues that residential storage can increase power consumption and undercut the environmental benefits of rooftop solar. The study addresses a business model that has become increasingly invoked as a remedy to the reduction or elimination of net metering benefits. But some criticize the report, saying that it looks too narrowly at the residential use-case for storage. The report’s focus on transactional round trip efficiency “completely ignores the grid that the home is plugged in to, ” said Matt Roberts, executive director of the Energy Supply Association. In the report, Fares and Webber found that even though a battery storage system could reduce peak power demand by 8% to 32% and reduce peak power injections by anywhere from 5% to 42%, storage inefficiencies increase annual energy consumption on average by 324 kWh to 591 kWh per household. As a result, storage indirectly increases emissions of carbon dioxide by 153 to 303 kilograms, of sulfur dioxide by 0.03 to 0.20 kg, and of nitrogen oxide by 0.04 to 0.26 kg per household. The range of results reflect the two scenarios the authors modeled in the paper using full-year 2014 energy usage data from 99 homes in Austin, Texas. In one scenario, “target zero, ” the battery system is used to make the house as energy self sufficient as possible by seeking to keep injections and withdrawals of electricity from the grid at zero at all times. In the “minimize power” scenario, the battery system has information about the level of electricity demand and solar generation over the day and operation of the storage system is planned to minimize the use of grid power. In addition, in the zero target scenario the batteries are charged only with solar power while in the minimize approach they are charged with grid or solar electricity so as to minimize demand. For their base case, the authors use a 3.3-kW, 7-kWh system with a roundtrip efficiency of 85%. In their sensitivity analysis, they consider systems ranging from 1 kW, 1-kWh to 7-kW, 7-kWh with a roundtrip efficiencies in the range of 70% to 100%. In terms of installed costs for a lithium-ion battery system, the authors used $700/kWh to $1, 800/kWh. They found that “under no scenario considered here” could storage provide a sufficient economic benefit to offset a customer’s upfront costs, unless those costs were to fall to $100/kWh. The crux of the matter is that batteries consume energy. So a homeowner who uses batteries to store solar power for later use – when utility rates are higher, for instance – would actually be producing less energy because about 15% of the energy goes is lost in battery system inefficiencies. Those losses are reflected in roundtrip efficiency numbers of li-ion batteries. The authors cite reported efficiencies of 80% to 93%, but note that those figures could be optimistic because they a not field tested. One of their conclusions is that battery storage is not economic unless it is specifically needed to install a solar system. And that, they say, is unlikely. They cite a study that found that even at 100% solar penetration, Pacific Gas and Electric could maintain adequate voltage levels by increasing the number of transformer tap changing operations at an annual cost that would represent a small fraction of the utility’s annual operation and maintenance budget. In general, researchers found that using storage to increase solar self-consumption provides a financial benefit when the consumption tariff is higher than the feed-in tariff. But in their modeling they found no scenario where storage provided sufficient direct economic benefit to the customer to offset upfront costs. Researchers cited Germany, where high electricity rates and low net metering payments can make storage economically beneficial to homeowners, even if it does result in higher levels of electricity consumption. But those benefits are still not sufficient to offset the upfront costs of storage and, as they point out, in systems where fossil fuel-fired generation dominates that leads to higher emissions, both from higher consumption and from shifting load to night hours when fossil resources are more likely to be utilized.